Hologate is an award winning virtual reality attraction that takes gaming to a whole new level. Advanced graphic technology and full sensory immersion for the ultimate level of entertainment experience you’ll find only at The Fun Lab. 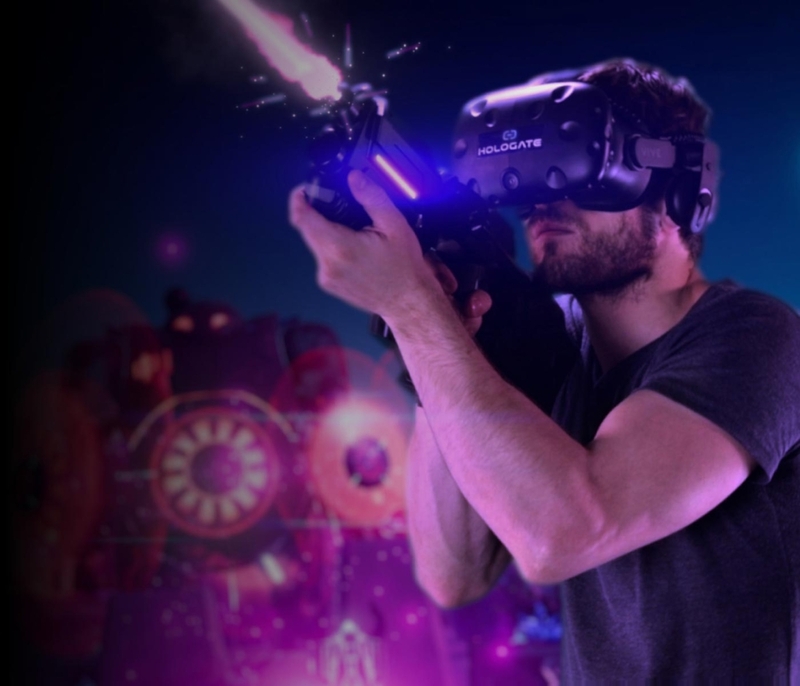 This 4-player virtual reality attraction delivers a new dimension of excitement for virtually any age. Players move in virtual 3D spaces and use motion-tracked handheld controllers as they engage in a new dimension of adventure every time. Hologate offers the latest cutting-edge immersive technology. Join the entertainment tech revolution that packs a punch at the only immersive attraction in Blaine…The Fun Lab.